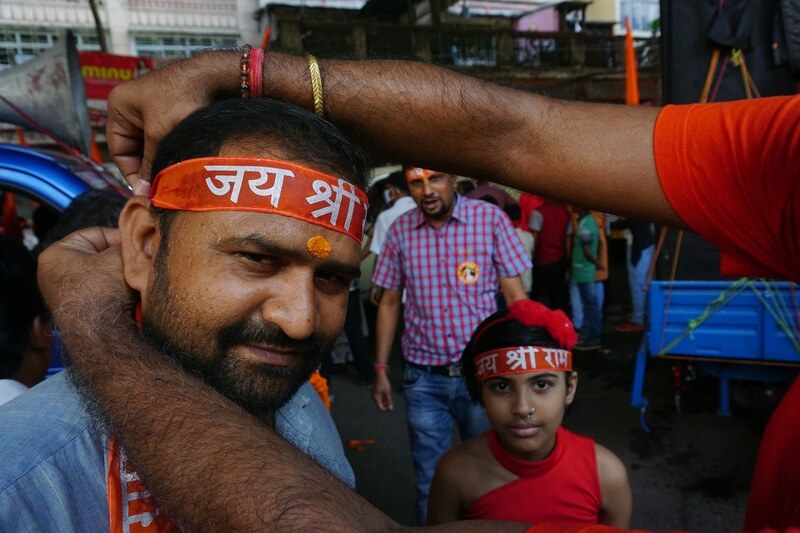 Ram Navami, the birth of the deity Lord Ram, is celebrated with a lot of fanfare in India. 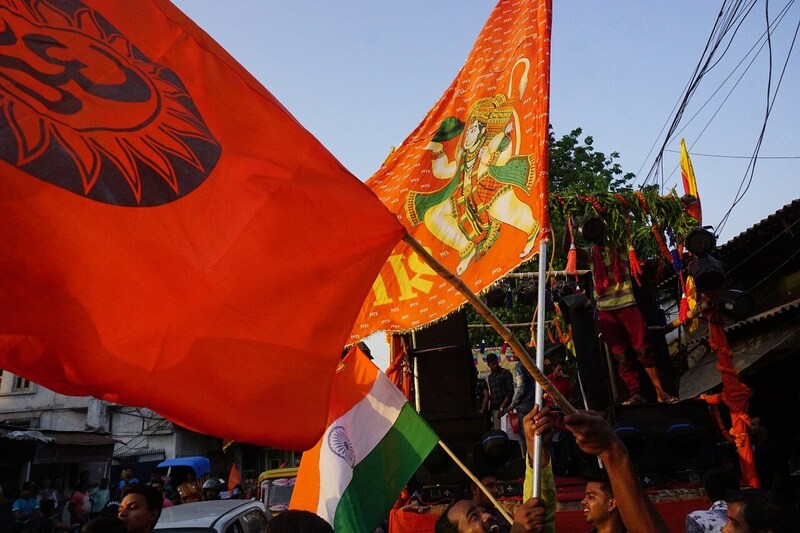 In Kolkata in particular, the celebrations have reached a frenzy in recent years. What is a usually a tame summer festival in North India has turned into a raucous festivity laced with a political colour. The atmosphere is electrifying, with children and elders all dancing to the tunes of religious songs. Kolkata usually reserves this kind of energy for the Durga Puja. 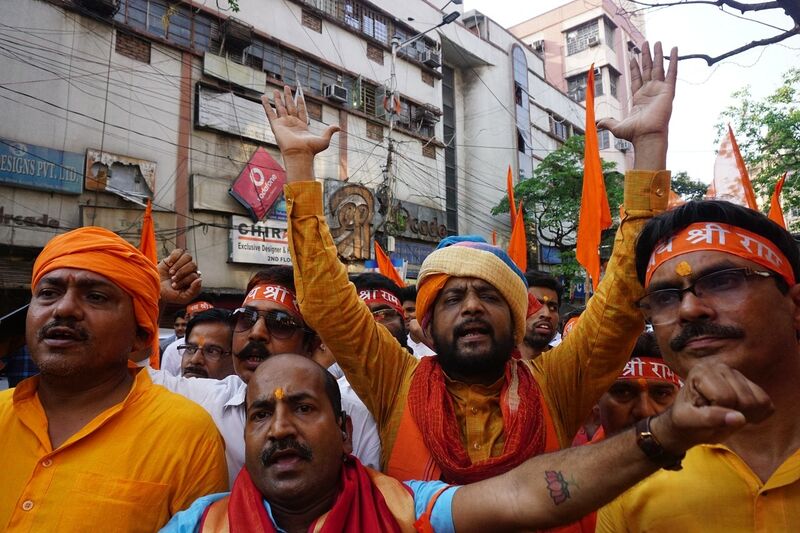 The name of Ram has mobilised swathes of Hindus from different walks of life. Gathered here are images of the eclectic event and consequent pandemonium in Kolkata. Ram Navami, the birth of the deity Lord Ram, is celebrated with a lot of fanfare in India. 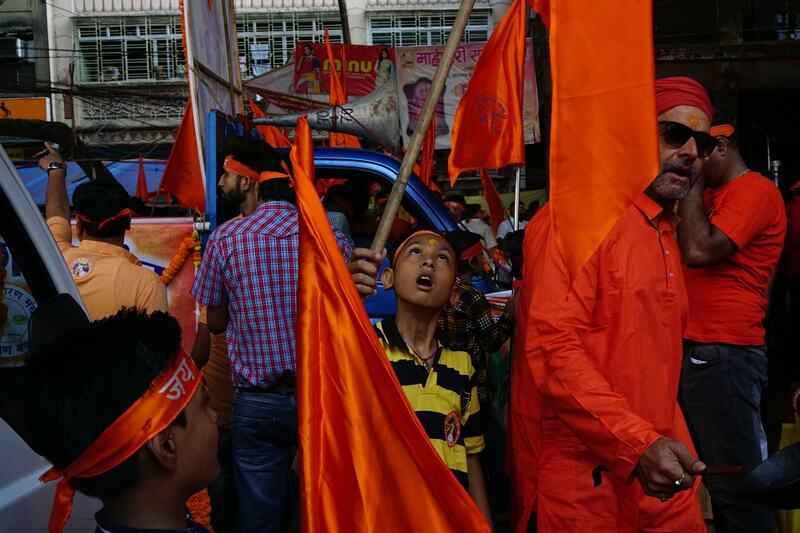 In Kolkata in particular, the celebrations have reached a frenzy in recent years. What is a usually a tame summer festival in North India has turned into a raucous festivity laced with a political colour. The atmosphere is electrifying, with children and elders all dancing to the tunes of religious songs. 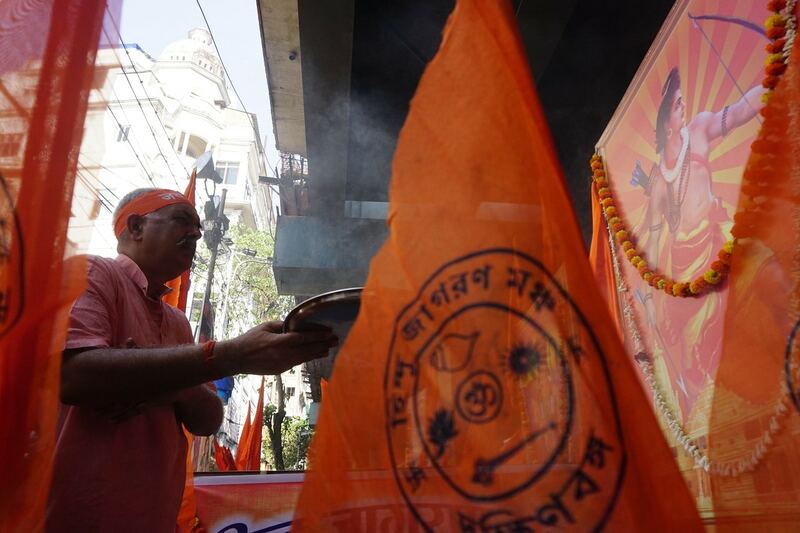 Hundreds of Ram Navami rallies were taken out by the BJP and VHP in various parts of West Bengal on April 13. Kolkata usually reserves this kind of energy for the Durga Puja. 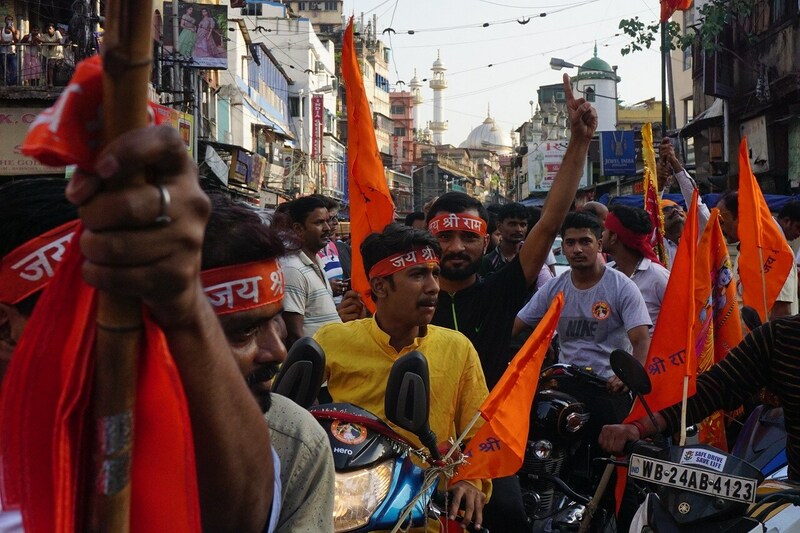 A bike rally during the Ram Navami procession in Kolkata. 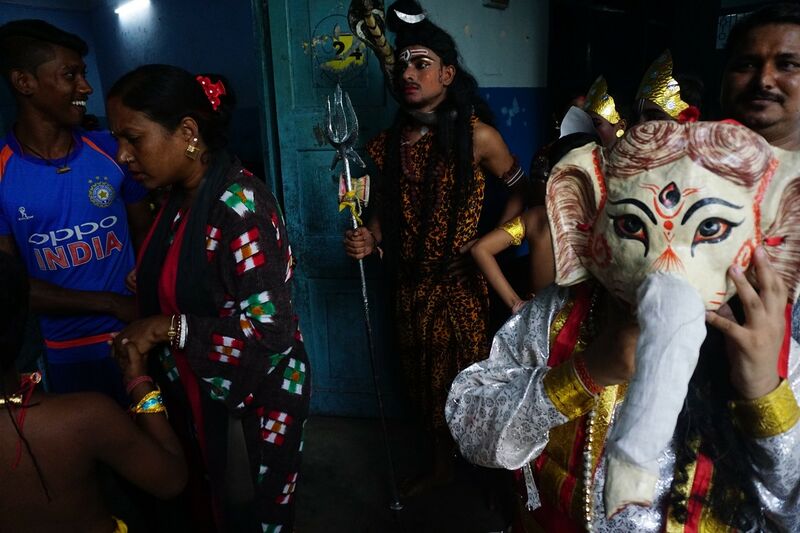 Children dressed as Hindu deities seen during Ram Navami procession in Kolkata. 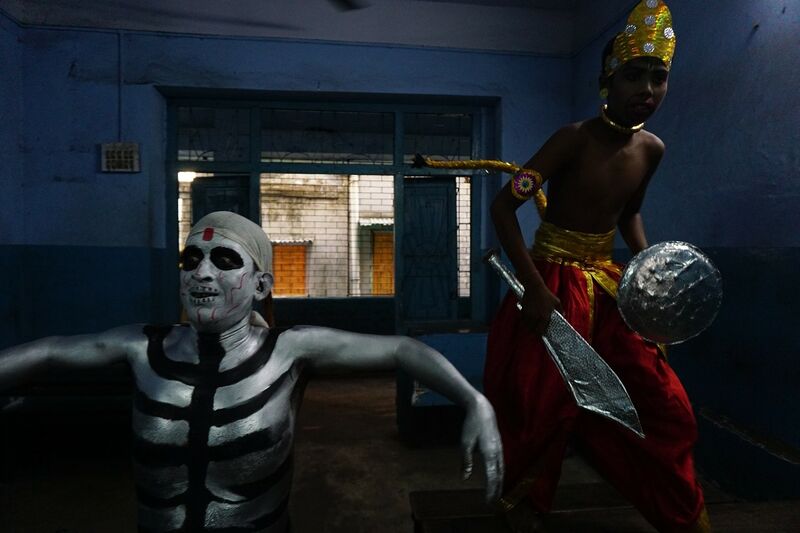 Children participating in a skit during Ram Navami celebrations in Kolkata. 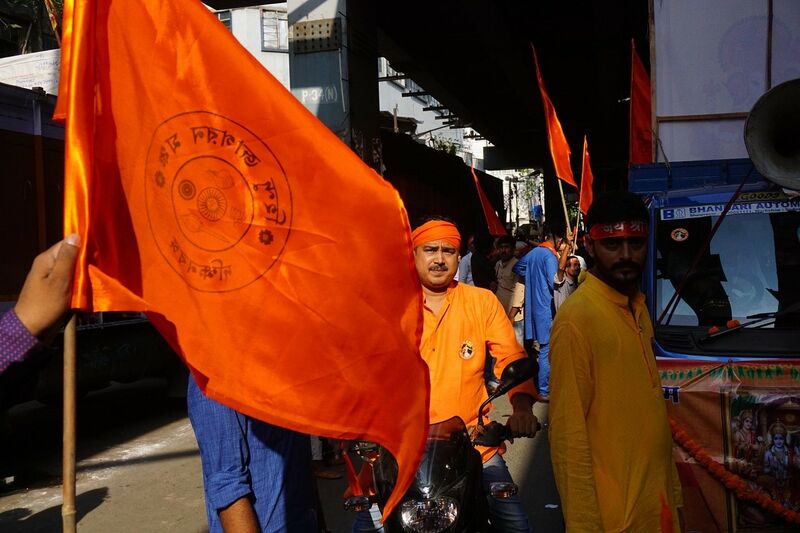 People waving flags at Ram Navami procession. A man offering pooja during Ram Navami celebrations. 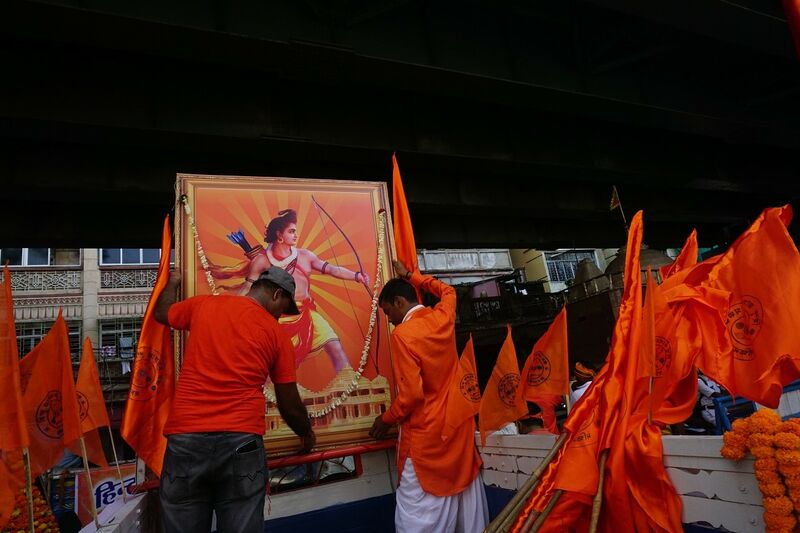 Apart from the BJP, right-wing Hindu outfits such as the Vishva Hindu Parishad, Bajrang Dal, Hindu Jagaran Manch also organised hundreds of rallies as they celebrated Ram Navami on a massive scale across the state. 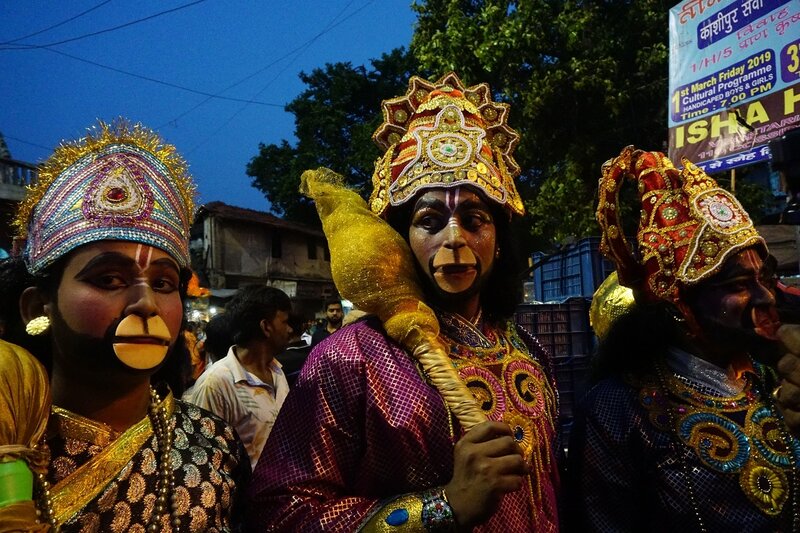 People dressed as Hanuman seen during Ram Navami celebrations in Kolkata. 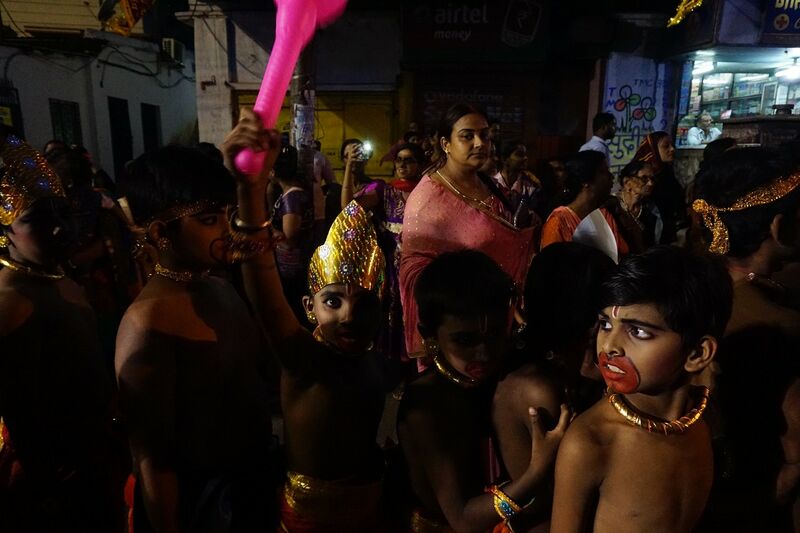 Children dressed as Lord Hanuman seen during Ram Navami celebrations.